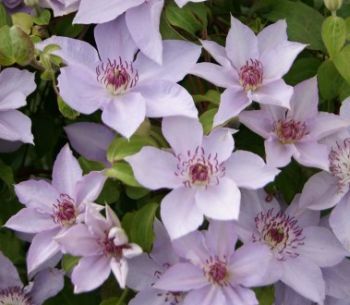 Clematis Mandy, brand new to our nursery this year (spring 2019), I think with a name like this it is sure to be popular! Mandy is beautiful, she is a great shade of pink and has lovely flowers and will adapt to any aspect or position in the garden. She is very rewarding too with a nice long flowering period.